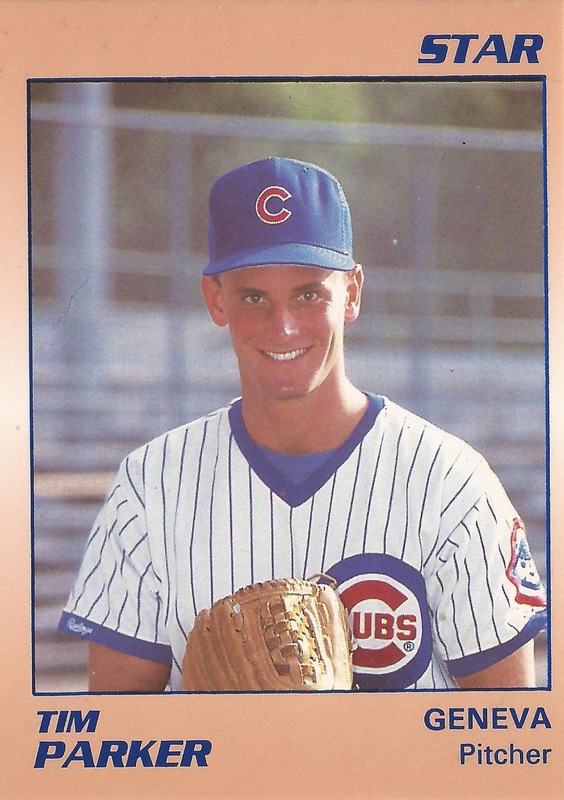 Tim Parker was selected by the Cubs high in the 1990 draft and he couldn't have been happier, according to his hometown Wilmington Star-News. "It's a dream come true," Parker told The Star-News after his selection. "I worked hard all these years for this chance to play professional baseball." Parker took that chance to a 6-0 first campaign at short-season Geneva, and a selection to Baseball America's All-Star team. Parker, though, couldn't take that chance and turn it into a long professional career, Parker ending his baseball career just two seasons later after a couple of poor starts at AA. Parker's career began that summer in 1990 with his selection by the Cubs in the third round of the draft out of Clemson. At Clemson in 1990, Parker went 7-5, with a 2.96 ERA that spring. He also underwent four operations, according to The Star-News. But the Cubs selected him, and Parker signed. "Tim wasn't heralded out of high school but he got bigger, he got stronger, and even though he got cut on, he was able to come back, which says a lot about his work ethic and the type of person he is," Cubs scout Bill Champion told The Star-News. Parker then went out and had that 6-0 season at Geneva, ending with a 1.53 ERA. It was enough for Parker to make the jump for 1991 to AA Charlotte. At Charlotte, Parker went 11-9 on the year, with a 3.73 ERA over 24 starts. He also walked 73 in 144.2 innings, striking out 74. Coming back for his third season, Parker returned to Charlotte. In his first two starts, though, Parker gave up 12 earned runs in just 8.2 innings of work. A shoulder strain also shelved him for three weeks. Despite his previous success, though, Parker was done, Parker leaving the team and retiring.